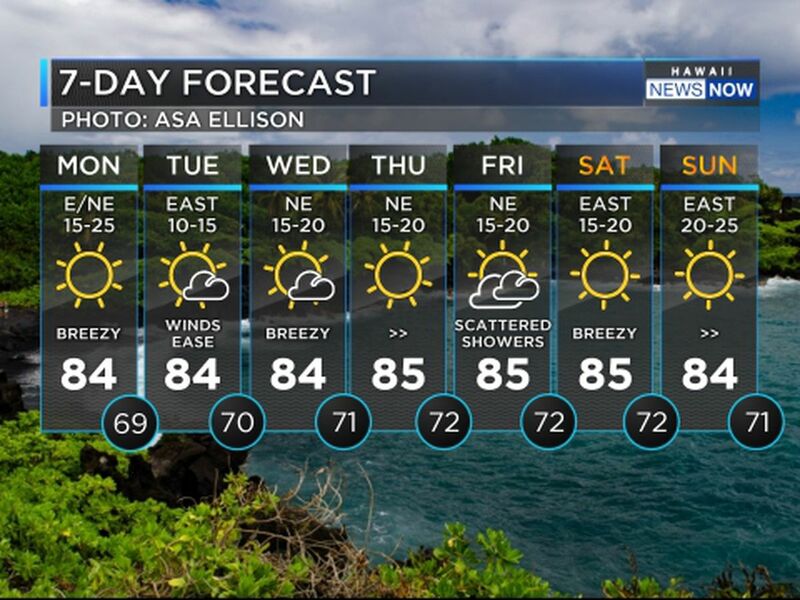 A weak cold front moving to the southeast will clear the Big Island, followed by a cooler, drier airmass. Strong high pressure behind the front will boost northeast winds to 15 to 30 miles per hour across parts of the state through Wednesday. 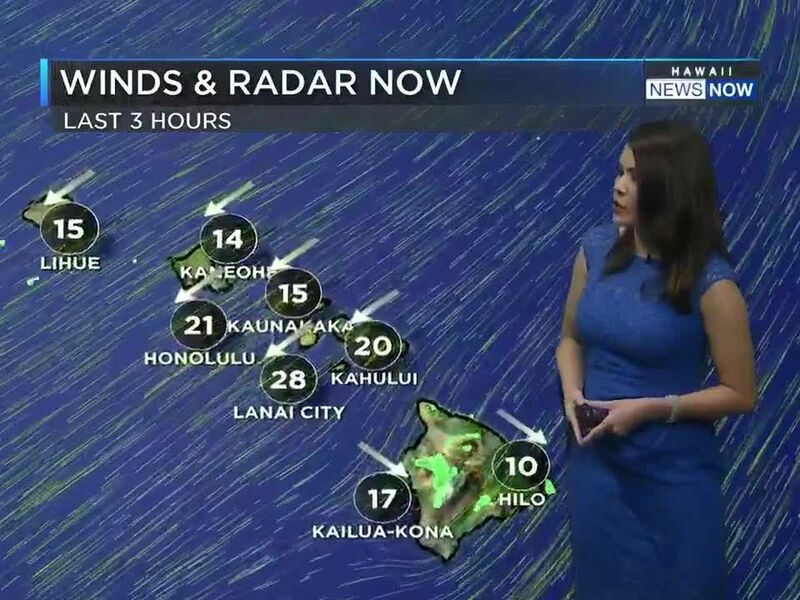 Strongest winds so far are for Lanai, Kahoolawe and over the Kohala Mountains of the Big Island; a Wind Advisory is in effect for those areas until 6 p.m. Monday. 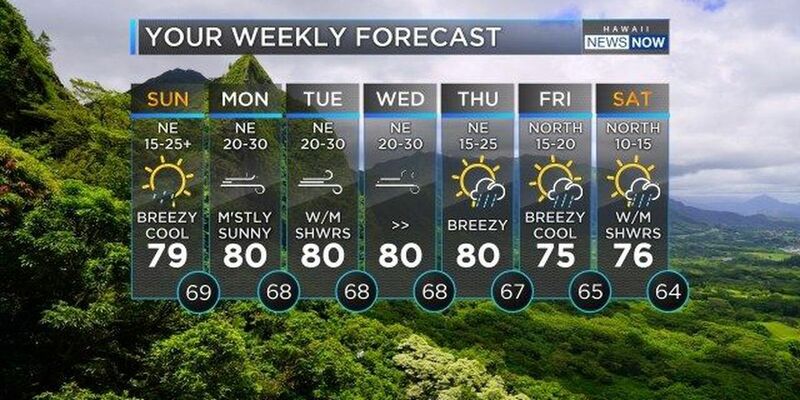 A High Surf Advisory is in effect until 6 p.m. Monday for a north swell that's expected to peak on Sunday night. For mariners, a Gale Warning is posted for Maalaea Bay, and the Pailolo and Alenuihaha Channels near Maui and the Big Island. 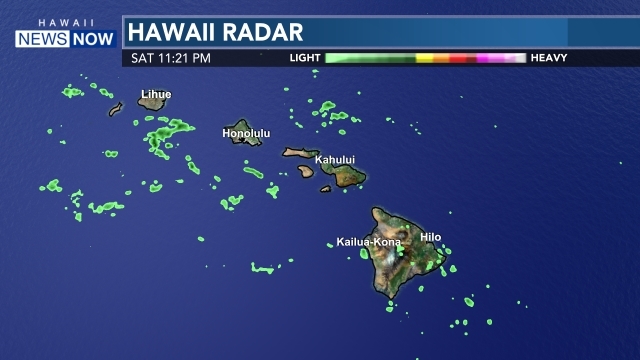 A Small Craft Advisory is in effect for remaining Hawaiian waters.